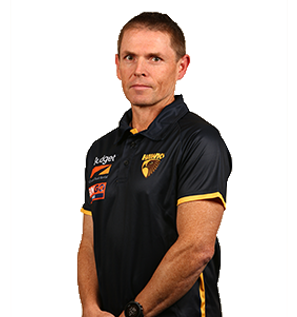 Regarded as one of the best coaches in the AFL, Clarkson has coached the Hawks to four premierships, in 2008, 2013, 2014 and 2015. He arrived at the Club at the end of 2004 following a long apprenticeship that included time spent as a runner with Melbourne in 1998 and as an Assistant to Tim Watson at St Kilda in 1999. In 2000, he coached VFL side Werribee before coaching SANFL side Central District to a premiership in his first year, 2001. 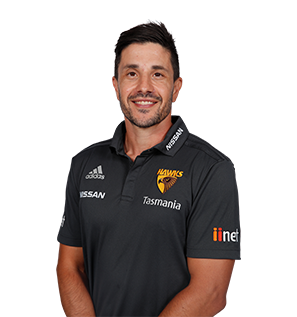 He returned to the AFL in 2003, where he was served as an Assistant to Mark Williams at Port Adelaide before landing the Senior Coaching role at Hawthorn at the end of 2004. Never afraid to make the hard decisions, it took Clarkson just two years to take the Hawks back to the finals in 2007, before tasting the ultimate success a year later. A master tactician who loves to innovate and learn from other sporting codes, Clarkson has in many ways changed the game of AFL through the development of zones and "clusters" and leads the way in developing versatility among players. He is the longest serving coach in Hawthorn history. Damian Carroll was appointed Box Hill Senior Coach in 2010 after establishing a strong resume both as a player and coach. 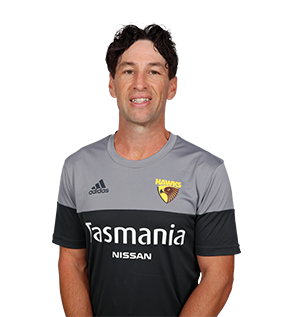 He is the Casey Scorpions games record holder - having played 233 games with the VFA/VFL club - and was named in the 1990 VFL team of the decade. His coaching career began with TAC Cup side Gippsland Power in 2008, taking them to the finals in his second and final season as coach in 2009. Carroll coached Box Hill to a senior premiership in 2013, before being appointed Hawthorn’s Head of Development Academy. After two seasons in charge of the academy, Carroll was appointed to an assistant coaching role at the end of 2015. He spent a year looking after the Hawks' midfield group, before shifting into the role of head of coaching. In 2018, Carroll will fulfil the role of head of development & learning. Yze was promoted to Assistant Coach at the end of 2014 after establishing himself as a respected teacher at Hawthorn. Originally, Yze joined the Hawks at the end of 2011 as a specialist coach, working particularly with the forwards on their goal-kicking before being appointed as a Development Coach at the end of 2013. 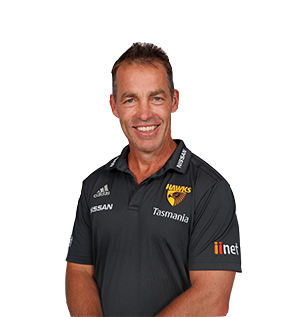 To his roles at Hawthorn he has brought with him knowledge of a variety of positions on the field, which has seen him become a respected part of the coaching team. Yze enjoyed a successful 14-season career with Melbourne that spanned from 1995-2008. In that time, Yze spent his footballing career showing his versatility, playing in a number of roles including half back, midfield and forward. After four years as a line coach, Yze shifts into the role of 'Head of Match Day Strategy & Opposition' in 2019. Since retiring from AFL in 2008, Burns has been an assistant coach at West Coast Eagles and most recently Collingwood Football Club, where he previously played 264 games across 14 seasons. Burns has been Collingwood’s midfield coach since 2014 after returning to the Pies following a five-year stint coaching under John Worsfold at the Eagles from 2009 to 2013. He captained the Pies in 2008 and was inducted to their Hall of Fame in 2012. After looking after the Hawks' midfield group in 2018, Burns will be responsible for the forward line in 2019. Darren Glass joined the Hawks at the end of the 2017 season bringing with him a wealth of football knowledge from a career that stretched across 15 seasons. Glass was most recently working as a business strategy consultant in Western Australia, having attained a Masters of Business Administration at the completion of his playing career. He retired from AFL football after 270 games for the Eagles between 2000-2014. Glass was a premiership player with the Eagles in 2006 and captained the club from 2008 to 2014. He also won the West Coast best and fairest three times throughout his career and was selected in the All-Australian team in 2006, 2007, 2011 and 2012. The 36-year-old also spent the 2015 season working part-time with Adelaide Football Club as a leadership coach. 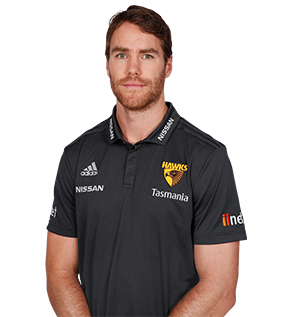 After calling time on a successful 268-game career with the Tigers in 2015, Chris Newman joined Hawthorn in the following off-season as a development coach. A year later, it was announced that Newman would take the reins as Box Hill Senior Coach. In his maiden season, Box Hill had turned a disappointing 2016 campaign into a second-place finish and a preliminary final berth in 2017. As a result of this transformation, Newman was named VFL Coach of the Year. The following year his VFL side went two steps better. After a stunning finals campaign that saw a draw and an ‘extra time’ win in the Hawks’ elimination final, they became the first ever VFL side to win a premiership from outside the top four. Weeks after becoming a VFL premiership coach, Newman was elevated to an assistant coach with Hawthorn. In 2019, he will be responsible for stoppages. Sam Mitchell played 307 games and won four premierships and a Brownlow medal while wearing the brown and gold, before finishing his career at West Coast. Upon retirement at the end of 2017, he joined West Coast’s ranks as an assistant under Adam Simpson. After a year looking after the Eagles’ midfield group and experiencing his first taste of premiership glory as a coach, Mitchell returned home to Hawthorn as an assistant under Alastair Clarkson. In 2019, he will be responsible for the Hawks’ midfield. Damian Monkhorst joined the club as Ruck Coach in 2010, following a stellar career at AFL level. Known as one of the league's best and toughest ruckmen to play against during his career with both Collingwood and St Kilda, Monkhorst has passed on his knowledge to Hawthorn's ruck stocks since his arrival. A member of the Collingwood’s 1990 premiership team, Monkhorst played 215 games and kicked 45 goals between 1988 and 2000 and twice represented Victoria in State of Origin. Monkhorst was inducted into the Collingwood Hall of Fame in 2014. 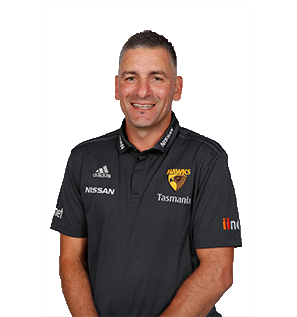 Marco Bello served as Box Hill Senior Coach for three seasons, leading the team to VFL Grand Finals in 2014 and 2015. 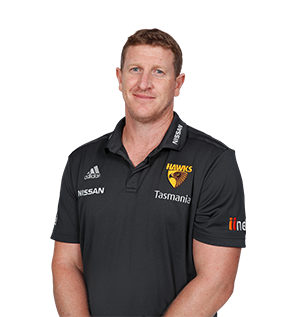 He played three seasons with Box Hill as a playing assistant coach from 2008-2010, before becoming Senior Coach of Box Hill’s Development side in 2011, where he also worked with Hawthorn’s development coaches. In 2019, Bello will focus on Hawthorn's academy as a development coach. 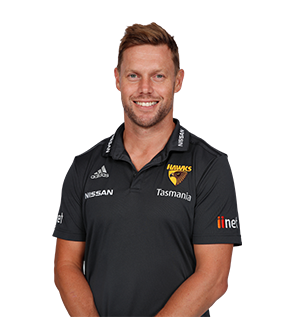 Torin Baker joined the Hawks as a development coach ahead of the 2019 season. Baker joins fresh from coaching the Western Jets in past six TAC Cup seasons. 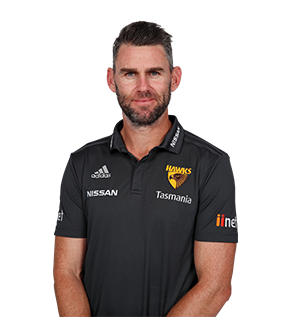 He also has 12 years of experience in teaching and education, skills that lend themselves nicely to the caper of AFL coaching. Max Bailey was a cult figure during his playing career at Hawthorn, overcoming three knee reconstructions in his 43 games, before retiring a premiership player in 2013. Upon retirement, Bailey joined the Tigers where he spent two years as a skills coach before heading to Tanzania and volunteering in a remote community for six months. 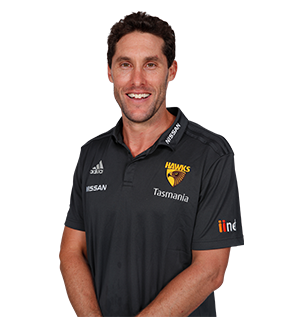 He returned to Waverley in 2016 as a development, before being elevated to Box Hill Senior Coach ahead of the 2019 season. Paddy Hill joined the Box Hill Hawks coaching staff in 2011 as an assistant coach of the premiership-winning development league team. He was promoted to senior assistant of the senior team from 2012-2014, where he played part in two grand final appearances and one premiership. Hill then took on the role of senior coach at Frankston Football Club where he remained for two seasons, before signing on as the inaugural coach of the Box Hill Hawks’ women’s team in 2017. 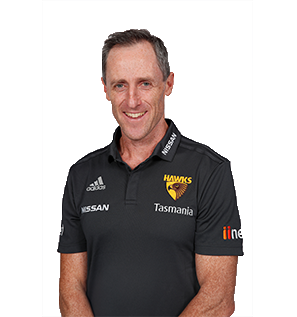 He continued as coach when the team rebranded under the Hawthorn banner, and led the girls to a historic premiership victory in 2018.